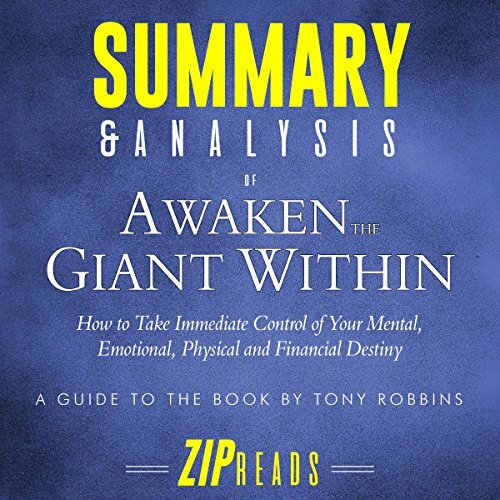 Showing results by publisher "ZIP Reads"
This ZIP Reads summary provides key takeaways and analysis from Tony Robbins' national best-selling book, Awaken the Giant Within. His life-changing self-help book teaches you how to take control of your life from day one and realize real change in your life. Please note: This is a summary and analysis of the book and not the original book. If you'd like to purchase the original book, it is available from Amazon and Audible. A grounded and valuable approach to life in general, The Confidence Gap tackles commonly experienced difficulties in building confidence, staying motivated, living true to our values, and harnessing fear. 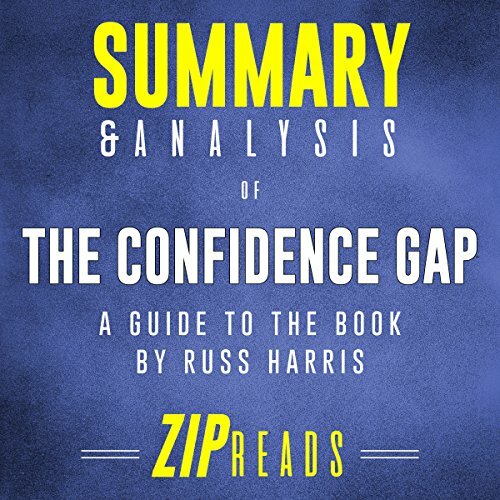 Russ Harris shows us where the confidence gap has taken root and how we can overcome the myths it has entrenched in a success-driven society. He highlights simple steps to achieving genuine confidence, based on a pattern of mindful, values-based living; with a spark of curiosity and a long overdue reality check. 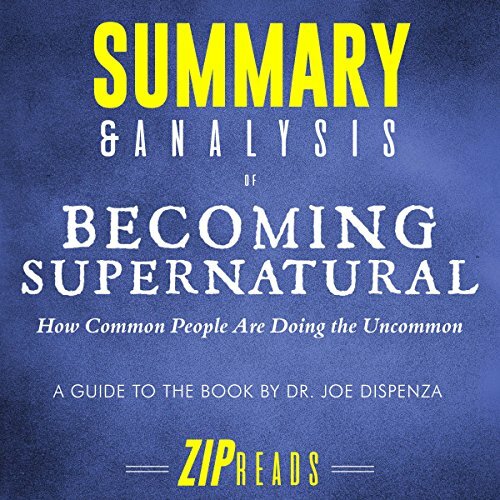 This is a summary of Becoming Supernatural: How Common People are Doing the Uncommon, in which Dr. Joe Dispenza presents theories and science to educate the listener on ways they can change their thoughts, emotions, and energy to improve both their mental and physical health. Don't miss out on this ZIP Reads summary to understand how you, too, can transcend your daily problems and become supernatural. John Doerr presents an engaging, easy-to-listen, and practical methodology for realizing your professional goals through OKRs, or, Objectives and Key Results in his bestselling book, Measure What Matters. The OKR goal-setting system provides a robust methodology for helping companies realize their full potential. With case studies from a wide range of organizations, OKRs are presented in a practical way, allowing the listener to implement them in one of a variety of forms. This is a summary of Anthony William's fourth groundbreaking book revealing the truth about the power of the liver, the myriad mystery illnesses it could be causing, and how to finally heal. He describes in detail the science behind "sluggish liver" and how our neglect of our livers leads to many mystery illnesses. William provides detailed guides to the best foods you can feed your liver and discusses how the latest fad diets have gotten it all wrong. 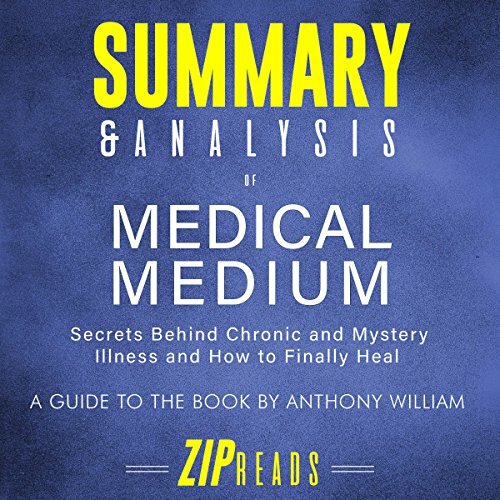 Anthony William reveals the secrets of mystery illnesses and shares compelling insights from the Spirit on how to heal using the natural power of fruits, vegetables, and spiritual connections. This ZIP Reads summary includes: A synopsis of the original book, a detailed overview of each section, which foods are hidden causes of disease, which foods can heal you, and how, common reasons for misdiagnoses, the role of Epstein Barr Virus in so many modern ailments, key takeaways & analysis of the original book and more. PLEASE NOTE: This is a summary and analysis of the book and not the original book. 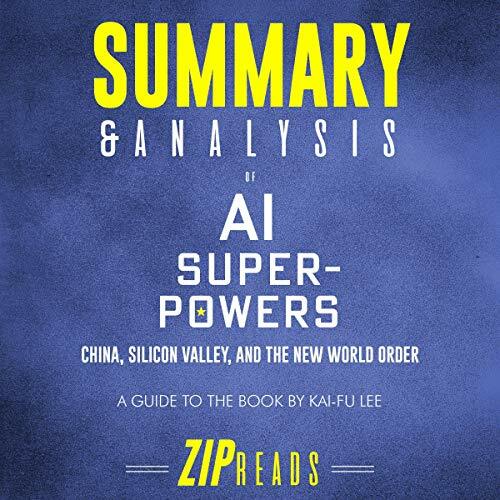 World-renowned expert on AI and China Kai-Fu Lee presents a broad look at the current state of AI, China's dramatic progress in the last five years, and the massive social disruption that will occur as AI replaces half the jobs in the world. In the deeply revealing book Why We Sleep: Unlocking the Power of Sleep and Dreams, Doctor Matthew Walker shares some truly profound revelations into the realm of sleep. He unlocks mysteries that will force you to look at your bedtime in a whole new light. This ZIP Reads summary of the book includes a synopsis of the original book, the science of sleep and how it heals our brain, common causes of sleep deprivation, and more. This is a summary and analysis of Anthony William’s Medical Medium: Thyroid Healing, which looks at the root cause of thyroid-related symptoms and explains why chronic illnesses are at an all-time high today. William includes a comprehensive protocol to resurrect your thyroid and keep your body - and mind - functioning as well as it has ever been. This is an audio summary and analysis of the book The Salt Fix by Dr. James DiNicolantonio. Medical researcher Dr. James DiNicolantonio presents some astounding findings regarding the long-standing demonization of salt in our diets. This is a summary and analysis of the book and not the original audiobook. Noah Harari will challenge the way you look at the world, the future, and yourself in his third number-one best-selling book, 21 Lessons for the 21st Century. This is an audio summary and analysis of Bad Blood. 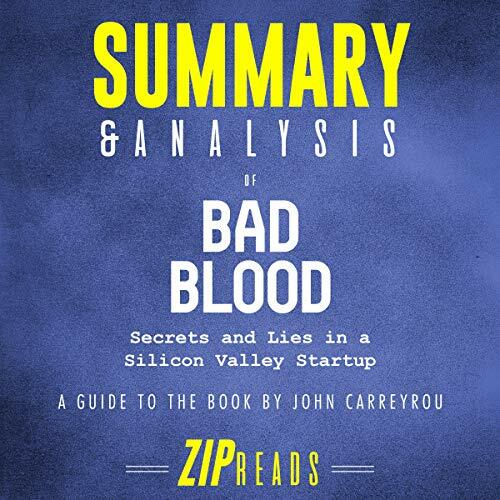 Journalist John Carreyrou uncovers the scam of a century in his riveting investigative book, and unravels the lies told by billionaire sweetheart Elizabeth Holmes, who found her success by selling a technology that never existed - for more than 10 years. Anthony William, the "Medical Medium", uses his connection to a higher power which he calls the "Spirit" to provide unprecedented insight into how our diets affect not only our physical health, but our mental, spiritual, and emotional well-being. 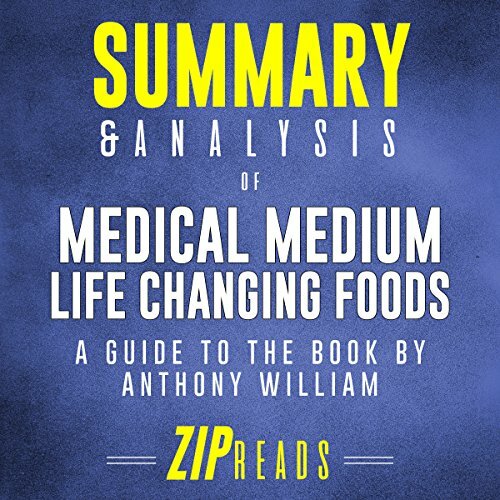 Don't miss out on this ZIP Reads summary of Anthony William's latest Medical Medium book that will change the way you feel - and eat - forever! Buy this five-audiobook bundle and start healing your body from the inside out! Each summary includes key takeaways and analysis of the original book to help you quickly absorb the author's wisdom in a distilled and easy-to-digest format. Please note: This is a collection of summaries, analyses, and reviews of the books, and NOT the original books. Whether you'd like to deepen your understanding, refresh your memory, or simply decide whether or not these books are for you, ZIP Reads Summary and Analysis is here to help. Absorb everything you need to know in about 20 minutes per book! 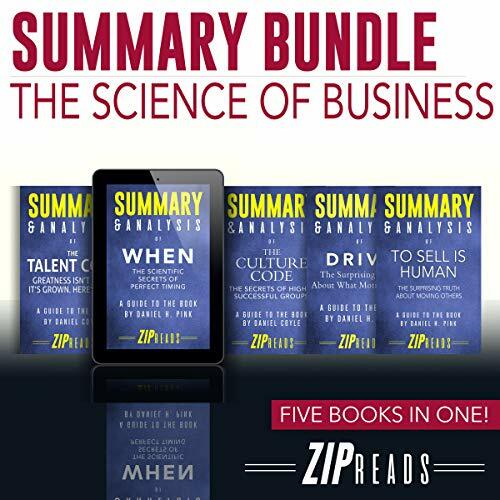 This five-audiobook bundle includes When, The Talent Code, Drive, The Culture Code, and To Sell Is Human. 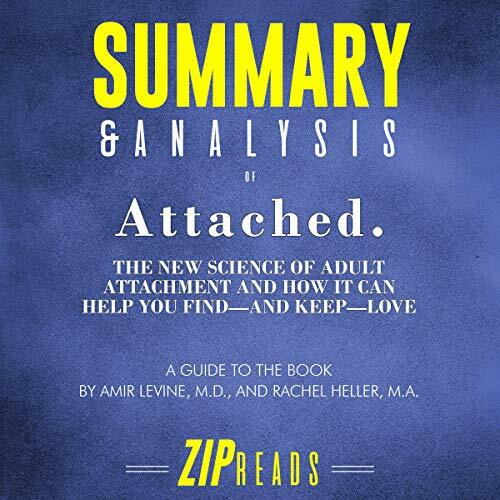 This is an audio summary and analysis of the book Attached by Dr. Amir Levine and psychologist Rachel Heller. They use the attachment theory to provide insight into how love actually works. Discover your attachment style and learn how it affects your romantic relationships - for better or for worse. 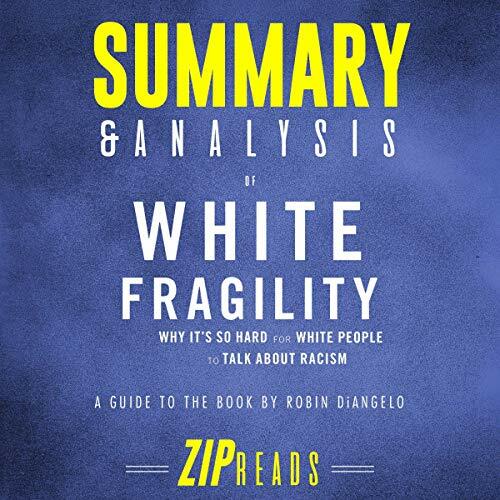 This is a summary and analysis of the White Fragility and not the original book. Robin DiAngelo tackles the issue of racism in America by challenging white supremacy. She asks white people to examine their culture and socialization in order to understand and disrupt racism as a system and structure. 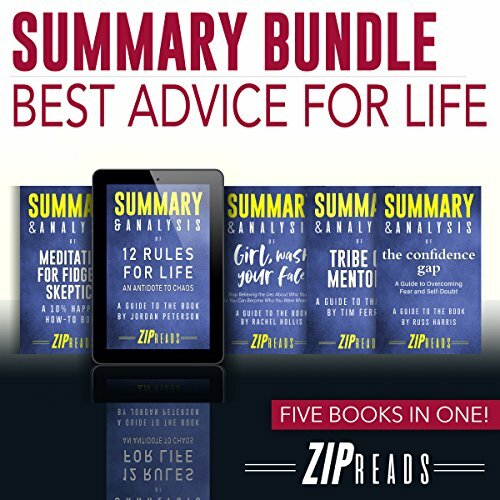 Includes Summary of 12 Rules for Life; Summary of Girl, Wash Your Face; Summary of The Confidence Gap; Summary of Tribe of Mentors; + 1 Bonus Book! Whether you'd like to deepen your understanding, refresh your memory, or simply decide whether or not these books are for you, this audio summary bundle is here to help. Each summary includes key takeaways and analysis of the original book to help you quickly absorb the author's wisdom in a distilled and easy-to-digest format. Please note: This is a summary and analysis of the book and not the original book. If you'd like to purchase the original book, it is available from Amazon and Audible. Management expert Morten T. Hansen reveals the secrets behind top performance and productivity. He presents a compelling case for working less while still achieving more without compromising your work-life balance.